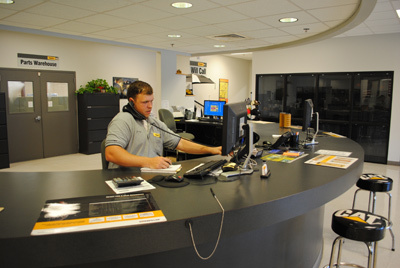 Come visit Puckett Machinery’s parts department and experience true world class service. The genuine Caterpillar parts we provide are constructed of top-quality materials and are designed and manufactured for consistent performance. When you get your parts from Puckett Machinery, you know you’re getting the right parts, designed and made specifically for your machine. Puckett Machinery Company maintains 6 warehouses with over 65,000 line items and a 98% fill rate within 24 hours. We are backed up by the global Caterpillar parts distribution channel with 23 distribution centers in 11 countries. So what does all that mean to you? It means we’re ready to serve you with the Cat parts you need — fast, courteously, and with expertise no one else can match.